At a well-attended press conference Alistair Spalding announced details of Sadler’s Wells programming through to the Summer of 2013. There was a huge stress on celebrating the Rite of Spring centenary and an associated full-evening commission for Akram Khan which takes Rite as inspiration (if not the music). Underlining the importance, Khan was at the event for a Q&A with Spalding around the commissioning of the piece – creation starts next month. Sadler’s Wells also celebrates its own anniversary – 15 years since it was rebuilt. It’s a hugely changed dance world in those 15 years with Artists clustering around theatres and other institutionsmuch more and Sadler’s announced a 15th Associate Artist joining them – the much acclaimed Michael Keegan-Dolan. They were also stressing youth and the aspiration to draw more young people into both doing dance and dance watching: expect initiatives around the National Youth Dance Company and the appointment of six New Wave Associates helping propel some younger creatives forward. But associated with that push on the young was much concern about changes in the National Curriculum that sees dance de-emphasised. There were real worries expressed about losing much of the current vibrancy in dance with such changed policies. Aside from the creative highlights the theatre stressed its sound finances with over 650,000 tickets sold and 90%+ of revenue generated from tickets and its own fund-raising. No particular signs of a down-turn at the Wells. You need to read the press releases below for the full details but some other headlines that jumped out for me: Pina Bausch‘s company returns with 2 pieces, Hofesh Shechter has 3 shows, Breakin’ Convention also goes over to NY for a season and the National Ballet of Canada are bringing over Ratmansky’s Romeo and Juliet. It’s the name of the game that one does not necessarily appreciate all plans (or indeed how they crystallise out in practice) but I have to say that Sadler’s Wells set a benchmark re new work/experiences and for where you want a progressive art to be. From April – June 2013 Sadler’s Wells presents three separate works that reinterpret the 20th century masterpiece for the 21st century. New Sadler’s Wells Associate Artist Michael Keegan-Dolan presents his award winning interpretation of Stravinsky’s iconic ballet. A third production features an intergenerational cast of over 80 non-professional dancers from the local community. Exactly 100 years since its first performance took Paris by storm, Stravinsky’s masterpiece The Rite of Spring will be celebrated at Sadler’s Wells with a radical reinterpretation by leading choreographer and Olympic opening ceremony star Akram Khan from 28 May – 1 June, coinciding with the A String of Rites season marking the centenary from April – June. A new full-length work for an international cast of 12 dancers, iTMOi (in the mind of igor) features an original score by Nitin Sawhney, Jocelyn Pook and Ben Frost. iTMOi is another extraordinary artistic collaboration from Khan and his talented artistic team, which includes costume designer Kimie Nakano, set designer Matt Deely, lighting designer Fabiana Piccioli and dramaturge Ruth Little. The piece explores the human condition and the way in which Stravinsky transformed his work by evoking emotions through pattern, rooted in the concept of a woman dancing herself to death. 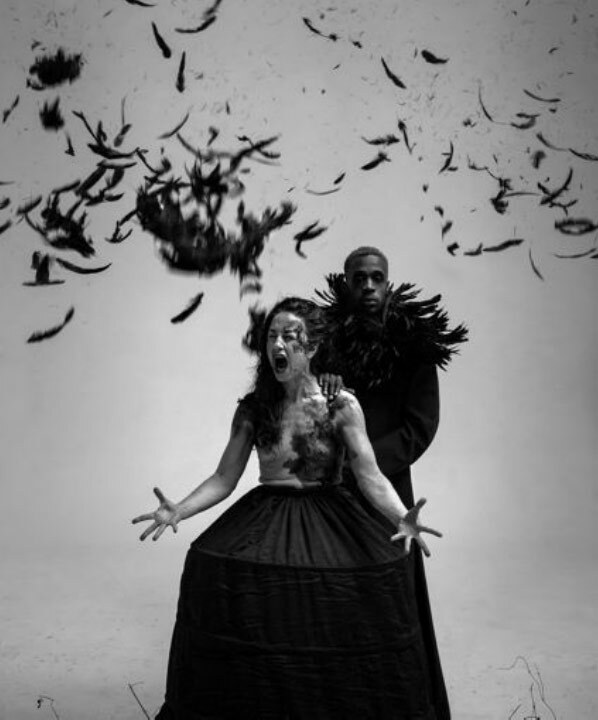 Akram Khan Company publicity image for iTMOi (in the mind of igor). Earlier in the year from 11-13 April, Sadler’s Wells presents two works by its most recently announced Associate Artist Michael Keegan-Dolan. Keegan-Dolan’s Olivier-nominated version of The Rite of Spring premiered at the London Coliseum in 2009 to great critical acclaim and was described as one of the few accounts that truly realised Stravinsky’s vision. The evening is completed by Keegan-Dolan’s new interpretation of Petrushka, composed by Stravinsky in 1911, to be performed by the exceptional dancers of Fabulous Beast Dance Theatre. In 1913, the unfamiliar sounds of The Rite of Spring were enough to ignite rage and rioting. 100 years later, prompted by recent riots, the cast of RIOT Offspring explore their own perceptions of rites, rituals and riots on the theatre’s main stage in the culmination of Sadler’s Wells’ The Rite of Spring centenary celebrations. Produced by Sadler’s Wells’ Creative Learning programme, RIOT Offspring (8 June) features a large cast of approximately 80 non-professional participants of all ages and abilities, including over 60s performers from Sadler’s Wells resident company The Company of Elders. RIOT Offspring will be performed in a double bill alongside the debut performance of the new National Youth Dance Company, which will be directed by Sadler’s Wells Associate Artist Jasmin Vardimon, NYDC’s first guest artistic director. 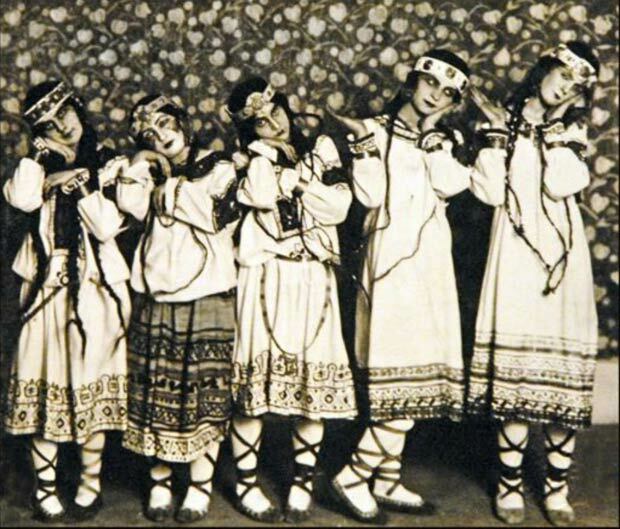 Le Sacre de Printemps (The Rite of Spring) by Russian composer Igor Stravinsky was written for the 1913 season of Sergei Diaghilev’s Ballet Russes company with choreography by Vaslav Nijinsky and designs by Nikolai Roerich. When the ballet was first performed at the Theatre des Champs Elysées on 29 May 1913, the avant-garde nature of the music and choreography caused a near riot in the audience. It has since become one of the masterpieces of the 20th century and has been performed all over the world in many different interpretations. The Rite of Spring/Petrushka is a Fabulous Beast Dance Theatre production in collaboration with Sadler’s Wells, in a co-production with Movimentos Festwochen der Autostadt in Wolfsburg, Brisbane Festival, Galway Arts Festival and Melbourne Festival. Supported by Culture Ireland as part of Ireland’s EU Presidency Culture Programme 2013. The Rite of Spring was originally developed as a co-production between English National Opera and Fabulous Beast Dance Theatre. Dance companies and orchestras around the world are giving performances to celebrate the centenary of Stravinsky’s The Rite of Spring in 2013. Home of the mythical world premiere in 1913, Paris’ Théâtre des Champs-Elysées will host 14 performances of the Rite in various guises, opening on the centenary day itself with a visit by the Ballet of the Mariinsky Theatre. Valery Gergiev conducts the original choreography by Vaslav Nijinsky in its recreation by Millicent Hodson and Kenneth Archer, followed by a new choreography by Sasha Waltz. Tanztheater Wuppertal dances the iconic choreography by Pina Bausch. Commissioned by Sadler’s Wells, Akram Khan will bring his new dancework inspired by The Rite of Spring. Orchestral concerts include performances of the score by the Philharmonia Orchestra, Orchestre National de France and Rotterdam Philharmonic. The Bolshoi Ballet mounts a special festival celebrating the Rite centenary, with four choreographies of the work (27 March – 21 April). The festival in Moscow opens with a new choreography by Wayne McGregor, followed by the versions by Nijinsky, Béjart and Bausch. From April–June 2013 Sadler’s Wells will present three separate works that reinterpret the 20th century masterpiece for the 21st century. On the actual anniversary itself, Sadler’s Wells Associate Artist and Olympic Opening ceremony star, Akram Khan will present a new full-length version specially commissioned for the centenary. Earlier in the year, new Sadler’s Wells Associate Artist Michael Keegan-Dolan will present his award-winning interpretation which was premiered at the Coliseum in 2009 to great critical acclaim; and a third production, RIOT Offspring features an intergenerational cast of over 80 non-professional dancers from the local community. The largest Rite event in North America is the season-long festival mounted by Carolina Performing Arts at Chapel Hill, exploring the lasting impact of Stravinsky’s work. As well as performances by the Joffrey Ballet and Martha Graham Dance Company – Graham’s choreography has not been seen for 20 years – the series includes 11 new works inspired by the Rite. These include commissioned ballets from Bill T.Jones/Arnie Zane and by Medhi Walerski for the Netherlands Dans Theater. The Bausch choreography travels to Taipei, Gothenburg and Naples, and a new 30-minute documentary film is released with archive footage of Bausch rehearsing the ballet. The Polish National Ballet revives its Rite triple bill in Warsaw in April with choreographies by Nijinsky, Emanuel Gat and Béjart all in a single evening. In 2013 it will be 15 years since Sadler’s Wells opened its current building, an event that marked the start of its journey to becoming the UK’s leading dance house. This special year will see a programme that includes contributions from all 14 Sadler’s Wells Associate Artists and the announcement of a 15th Associate Artist – Michael Keegan-Dolan. The 15th anniversary year will be marked by three events; A String of Rites, a series of shows celebrating the centenary of Stravinsky’s The Rite of Spring; Sadler’s Sampled, a two week event with affordable ticket prices aimed at bringing world class dance to the widest possible audience; and the 10th anniversary of Breakin’ Convention, Sadler’s Wells annual festival of hip hop dance theatre. Sadler’s Wells launches an initiative to support the next generation of dance artists under the umbrella of New Wave Associates. Six young choreographers will receive support over a two-year period in a scheme supported by the Esmée Fairbairn Foundation. The National Youth Dance Company will perform its debut show. The coming season will also feature work from Tanztheater Wuppertal Pina Bausch, Hofesh Shechter and the National Ballet of Canada. Tanztheater Wuppertal Pina Bausch is to return to Sadler’s Wells following the huge success of its World Cities 2012 season. The visit will mark the start of a new relationship with the company who plan to perform at Sadler’s Wells annually. This Spring (14 – 25 February 2013) they will present two works from Pina Bausch’s outstanding canon – Two Cigarettes in the Dark (1985) and the 2006 Vollmond (Full Moon) which was unforgettable in Pina, Wim Wender’s Oscar nominated film about the company. Tanztheater Wuppertal Pina Bausch in Two Cigarettes in the Dark. Celebrating the 100th anniversary of Stravinsky’s masterpiece The Rite of Spring, Sadler’s Wells presents the first of A String of Rites. Fabulous Beast Dance Theatre will present two works by award-winning choreographer Michael Keegan-Dolan – a reimagining of his Olivier-nominated version of The Rite of Spring and a new interpretation of Petrushka composed by Stravinsky in 1911 (11-13 April). Following the outstanding success of his recent solo show DESH, award-winning choreographer/dancer Akram Khan returns with the London premiere of his much-anticipated new full-length company work, iTMOi (in the mind of igor). The second work in Sadler’s Wells’ A String of Rites season, iTMOi (29 May – 1 June) coincides with the date Stravinsky’s ballet premiered in 1913. Concluding the Rite of Spring centenary celebrations will be RIOT Offspring, a work for the theatre’s main stage produced by Sadler’s Wells’ Creative Learning programme featuring a large cast of approximately 80 non-professional participants of all ages and abilities, including the Company of Elders. RIOT Offspring will be performed in a double bill alongside the debut performance of the new National Youth Dance Company, which will be directed by Sadler’s Wells Associate Artist Jasmin Vardimon, NYDC’s first guest artistic director. Sadler’s Wells Associate Artist Hofesh Shechter is one of the most celebrated artists to emerge in recent years. He returns to present three shows in 2013 – a double-bill of Uprising and The Art of Not Looking Back (27 – 29 April 2013), Political Mother: The Choreographer’s Cut which will feature as part of Sadler’s Sampled, and a new production co-commissioned by Sadler’s Wells. Sadler’s Wells’ annual international festival of hip hop dance theatre Breakin’ Convention celebrates its 10th Anniversary with performances from some of the world’s greatest poppers, lockers, B-boys and B-girls, hosted and curated by Sadler’s Wells Associate Artist Jonzi D (4 – 6 May 2013), including a whole evening dedicated to world premieres from UK companies. After the May weekend, Breakin’ Convention is to travel abroad for the first time to the legendary Apollo Theater, Harlem, New York – the birthplace of hip hop culture. Unmissable foreign guest companies include The National Ballet of Canada (17 – 21 April 2013) with the European Premiere of Alexei Ratmansky’s Romeo and Juliet; and The Forsythe Company (18 – 20 June 2013). Sadler’s Wells popular Sadler’s Sampled event has been expanded into a two-week festival (22 June – 7 July 2013) bringing world-class dance to the widest possible audience, with tickets from just £8. In addition to Hofesh Shechter’s Political Mother: The Choreographer’s Cut, audiences will be able to see Anne Teresa De Keersmaeker’s Drumming and work from Russell Maliphant, Sidi Larbi Cherkaoui and Wayne McGregor in Made at Sadler’s Wells. Sadler’s Sampled is supported by American Express and the Paul Hamlyn Foundation. Balletboyz, Matthew Bourne, Sidi Larbi Cherkaoui, Jonzi D, Sylvie Guillem, Michael Hulls, Akram Khan, Michael Keegan-Dolan, Russell Maliphant, Kate Prince, Wayne McGregor, Nitin Sawhney, Hofesh Shechter, Jasmin Vardimon and Christopher Wheeldon. Wayne McGregor | Random Dance, New Adventures and ZooNation UK Dance Company. Wilkie Branson, Daniel Linehan, Rocio Molina, Hetain Patel, Tao Dance Theatre and Alexander Whitley. Hofesh Shechter’s new work has been commissioned by Sadler’s Wells alongside Brighton Festival, Melbourne Festival, Les Théâtres de la Ville de Luxembourg, Theatre de la Ville- Paris, Festspielhaus St. Pölten, Mercat de Los Flors- Barcelona and the Theatre Royal Plymouth. National Ballet of Canada is supported by Thomson Reuters, Royal Bank of Canada and Air Canada. At its Annual Press Conference today, Sadler’s Wells, the UK’s leading dance house, announced a year of achievement for 2011/12. Sadler’s Wells productions were successful both at home and abroad, with an increased number of performances at its three London venues and an international touring programme taking 11 productions to 28 cities across the world from New York to Wellington. Of the 11 productions which were toured in 2011/12, eight were by Sadler’s Wells Associate Artists. Details are published in Sadler’s Wells Annual Report for 2011/12 which goes online today. 677 performances were presented on the stages of Sadler’s Wells, the Peacock Theatre and the Lilian Baylis Studio – an increase of 53 shows on last year. 128 artists were commissioned during this period. 90% of Sadler’s Wells £22.8 million turnover generated from earned income; 71% of income through ticket sales. Income from the artistic programme was £16 million. Over 650,000 tickets sold in the UK and on tour. Of the 106 productions on Sadler’s Wells stages in 2011/12, 34% were either produced or commissioned by Sadler’s Wells. Of the 11 productions toured in 2012/12, eight were by Sadler’s Wells Associate Artists. International touring to 28 cities with 11 productions – a total audience of 131,597 for 136 performances. Breakin’ Convention International Festival of Hip Hop Dance Theatre performed to over 5,000 people featuring 45 international and 215 UK artists and 900 project participants. 51,000 multibuy tickets were sold in 2011/12. Latitude Festival performance watched by audiences of over 4,000 people. Connect, Sadler’s Wells Creative Learning progrmme, had over 16,000 attendance across 371 sessions. New media and digital developments – over 22,000 followers on Twitter, website received over 10,000 visits per day and more than 6 million video views to date. Global Dance Contest – annual search for new talent – received 608 entries from 54 countries over 3 years. Sponsorship and donations accounted for 7.9% of Sadler’s Wells Annual revenue. Sustainability – 37% reduction in water consumption; 80% of waste recycled. Olivier Awards – Akram Khan’s DESH (Best New Dance Production); Sylvie Guillem’s 6000 miles away (Nomination for Outstanding Achievement in Dance). Critics Circle National Dance Awards – Sylvie Guillem (Outstanding Female Performance), Akram Khan for Vertical Road (Best Modern Choreography) and Sidi Larbi Cherkaoui for Dunas (Outstanding Male Performance, Modern). Successful new commissions included Rian, (co-production between Sadler’s Wells and Fabulous Beast); The Rodin Project, Russell Maliphant’s work inspired by the sculptor Auguste Rodin and Undance, a collaboration between composer Mark-Antony Turnage, Sadler’s Wells Associate choreographer, Wayne McGregor and Turner-Prize winning artist Mark Wallinger. International successes included Anne Teresa de Keersmaeker’s Rosas; Tony Award-winning FELA!, following its premiere at the National Theatre, and the return of Dutch National Ballet with its programme of works by Hans van Manen. Sadler’s Wells in the West End – the Peacock Theatre is the only venue dedicated to dance in the West End. Successes include UMOJA from South Africa, Havana Rakatan and The Merchants of Bollywood. Some of the most exciting new names in dance from around the world were brought by Sadler’s Wells to London for the first time including radical Canadian choreographer Dave St Pierre with his controversial Un peu de tendresse bordel de merde! and New York choreographer Daniel Linehan with Montage for Three & Not About Everything. Touring shows in 2011/12 included Sylvie Guillem’s 6000 miles away, Russell Maliphant’s The Rodin Project, Sidi Larbi Cherkaoui’s Sutra and TeZukA; Afterlight; Confluence; Eonnagata and Push to countries all over the world from Russia, Abu Dhabi, Japan, Hong Kong and Canada to Poland, Serbia and New Zealand. Sadler’s Wells is the leading venue for dance, bringing the widest forms of world-class international and UK dance to the widest possible audiences. Under the Artistic Directorship of Alistair Spalding, the theatre’s acclaimed programme spans cutting edge contemporary works by artists such as William Forsythe, HofeshShechter and Wayne McGregor, sell-out runs from Matthew Bourne and his company New Adventures, hugely successful tango, street dance and flamenco shows, and award-winning Sadler’s Wells Productions including Sylvie Guillem and Russell Maliphant’s PUSH, and groundbreaking cross-art form collaborations such as zero degrees and Shoes. Since 2005 Sadler’s Wells has commissioned, co-commissioned, produced and co-produced over 80 new productions. The theatre is dedicated to working with celebrated artists, performers and companies at the forefront of the arts, many of whom are Associate Artists and resident companies of the theatre including Balletboyz, Matthew Bourne and his company New Adventures, Sidi Larbi Cherkaoui, Jonzi D, Sylvie Guillem, Michael Hulls, Akram Khan, Russell Maliphant, Kate Prince and her company ZooNation UK Dance Company, Nitin Sawhney, Hofesh Shechter, Jasmin Vardimon, Christopher Wheeldon, Wayne McGregor and his company Wayne McGregor | Random Dance.